18 January, 2018. 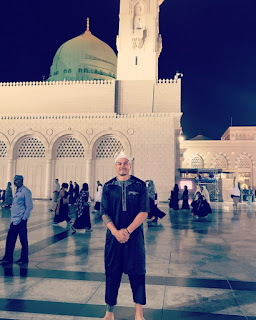 – All Blacks and Blues star, Sonny Bill Williams has embarked on his first-ever Islamic pilgrimage to the holy cities of Mecca and Medinah. Taking time off from his pre-season training for the 2018 Super Rugby season, he made the trip to Saudi Arabia for his Umrah-pilgrimage. Williams, the first Muslim to wear the All Blacks jersey, posted a photo on Twitter standing in front of the sacred Kabba stone. While in Medinah, he delivered his greetings to the Prophet and his noble companions, offering Dua (worship). He also spent time with many of the Sheikhs of Medinah. Unlike Hajj, Umrah is an Islamic pilgrimage to Mecca, which can be performed at any time of the year.Visiting the holy city is a trip that every Muslim is obligated to make at least once in their lifetime, if they have the means. The internationally acclaimed Samoan rugby star converted to the Sunni branch of Islam in 2008 while playing in France for Toulon.